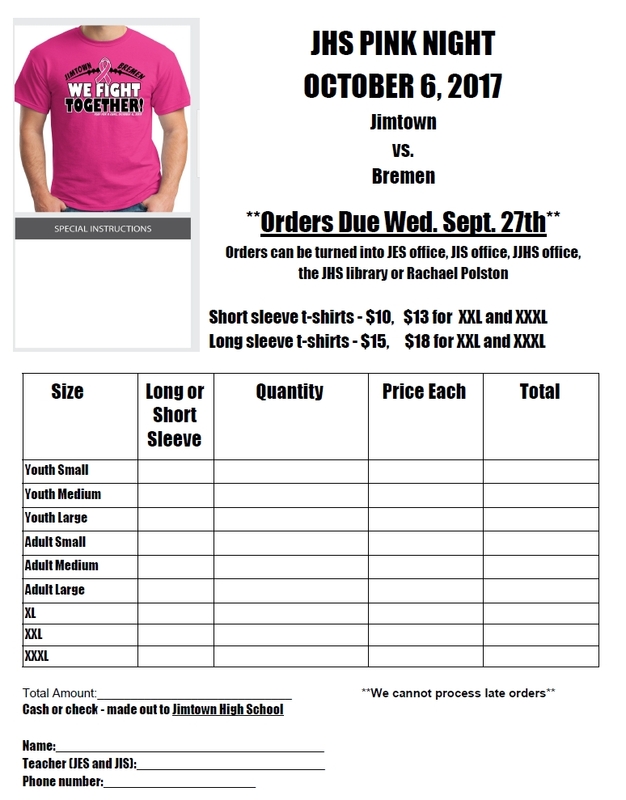 Both the Jimtown and Bremen athletic departments are joining forces to help fight breast cancer. Friday, October 6th will be designated as “Pink Night” for our home football game vs Bremen. This will be senior night and also a reunion night for our 1987 and 1997 championship Jimtown football teams. 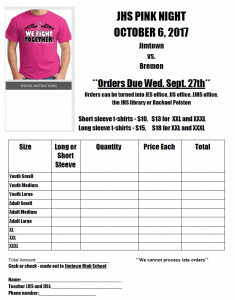 Please see the link below for a downloadable order form to order your “Pink Night” t-shirt now.